Did you made this module? i can help you create the module. Jaa a, ehkä suomessa on niin vähän käyttäjiä..Niin ei kukaa tuu tänne. Mistähän löytyis hyvä POS (Point-Of-Sale) laajennus Opencarttiin? Toi on ihan hyvä https://phppointofsale.com/ mutta integrointia Opencarttiin ei ole vielä kukaan tehny. I'm also interested of this bridge. Is anyone doing this? I can invest money for this. How can i make admin product cells like in attached photo? I want add few cells side by side. Can someone help me this? Re: Please recommend a mod for "Product Builder"
Please recommend a mod for "Product Builder"
Re: How to create multi store on subdomain without Cpanel? How to create multi store on subdomain without Cpanel? Hi, did you find a solution to this problem? I'm also with one.com and are finding the exact same issue. Have someone found solution for this? My host don't know how to do this.. I have one discontinued module in my opencart (2.1.0.2) shop. Developer have disappear over 2 months ago and he doens't answer any emails. Is here someone who can look the module and maybe can do improvments what i need. Of course i can pay for your service. Re: Is 'TheOne Pos PRI - next G Point of Sale' the current best POS extension? Is 'TheOne Pos PRI - next G Point of Sale' the current best POS extension? Yes it is, but Developer just disappear, and all modules disapper..
Also website is not working..
Is there someone who can continue this work and make some improvements? You mean connect to someone's store FTP and change their files remotely through the cloud? Is there possibility to connect by ftp or other way to files, because i need modify language files for my language. 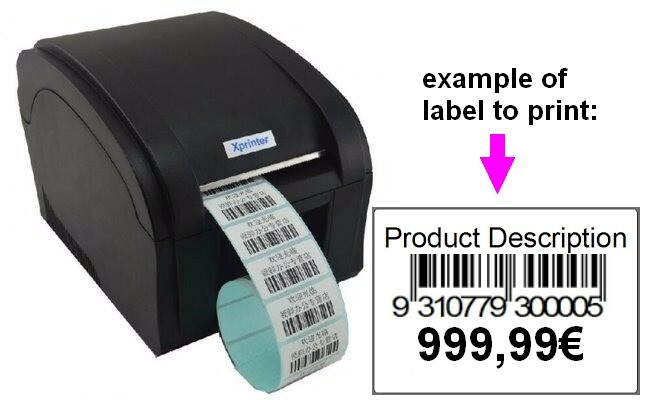 Re: Need module: Print pricelabel with barcode. Need module: Print pricelabel with barcode. Re: How to check if product already exists when adding product? How to check if product already exists when adding product?